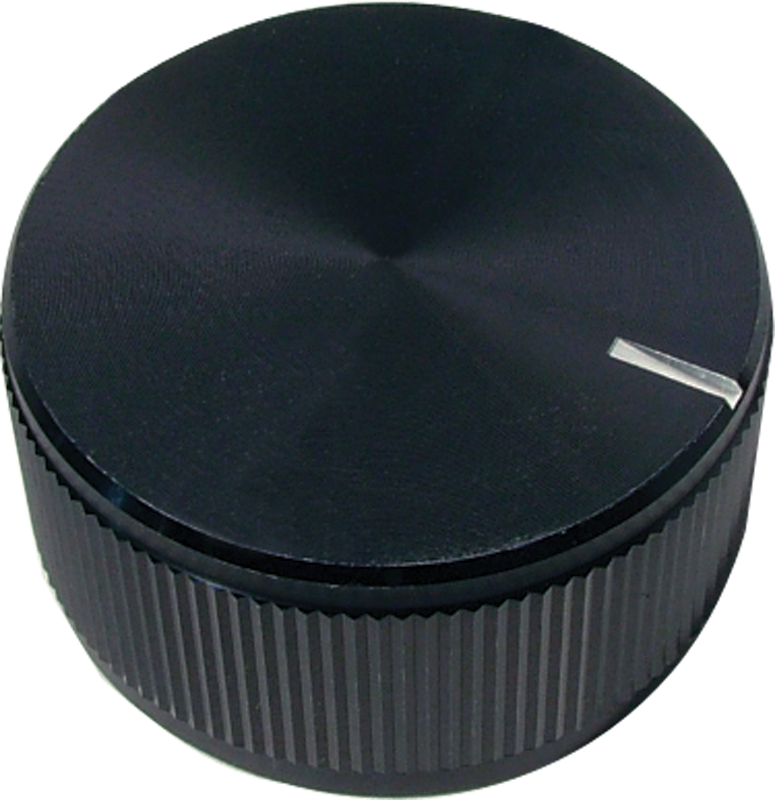 1.25" diameter knurled aluminum knob, 'positive grip', notched tip indicator, fits ¼" shaft. 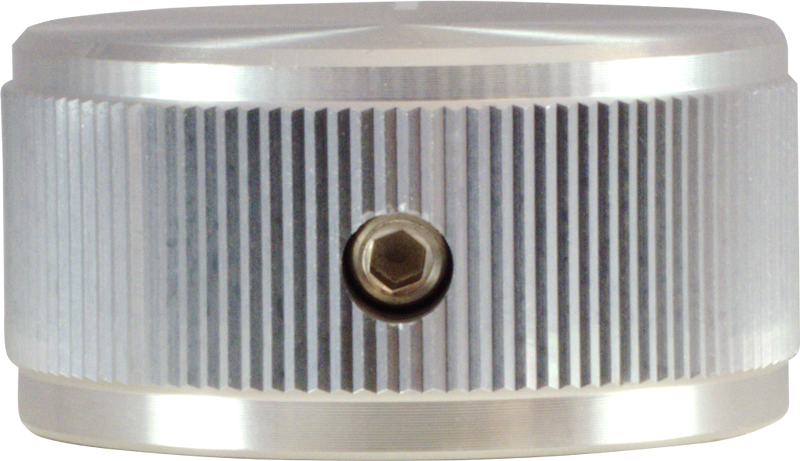 With set screw. 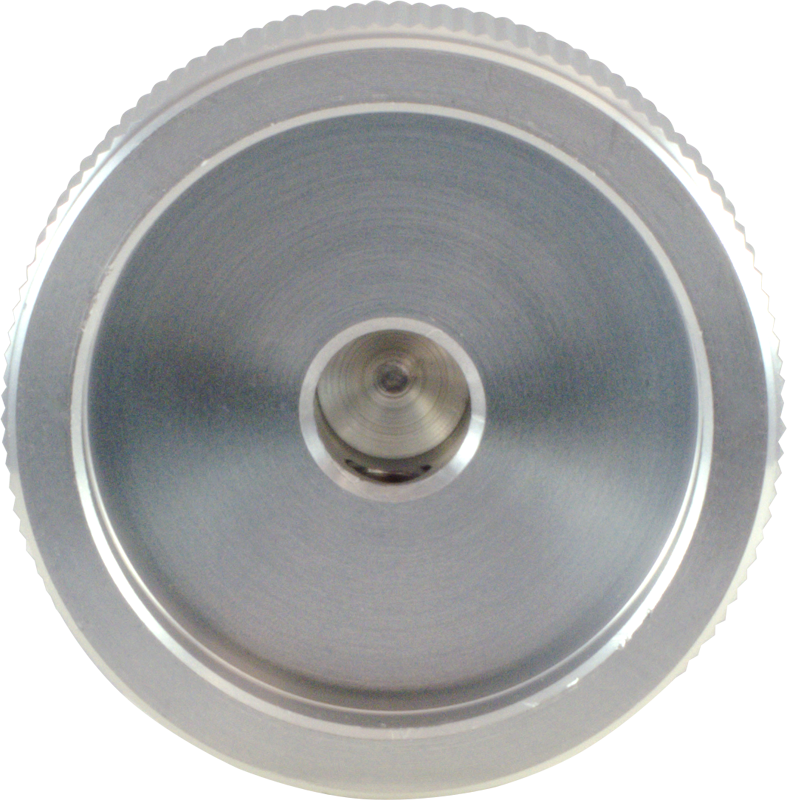 Aluminum P-K312 Weight 0.06 lbs. Black P-K313 Weight 0.061 lbs. All models Diameter 1.25 in. All models Item Height 0.63 in. All models Packaging Dimensions 3 in. x 2.5 in. x 0.7 in. This is a beautifully made knob. 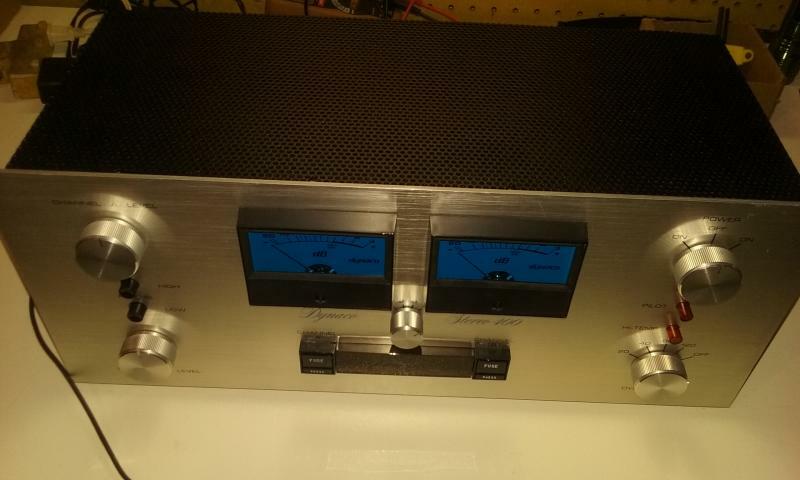 It makes my homemade electronic devices look professional. 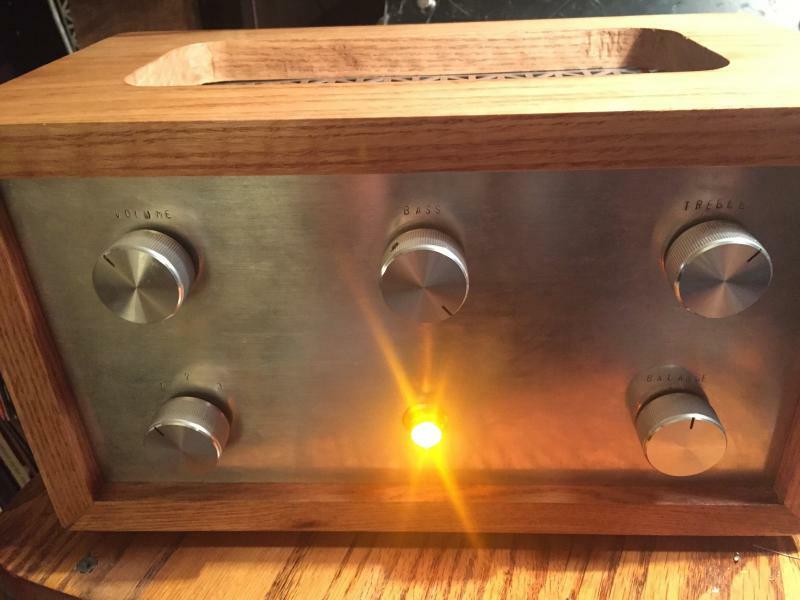 It even puts to shame the knob on my McIntosh tuner. These knobs are perfect. Exactly what I wanted and exactly as described. Thanks!! 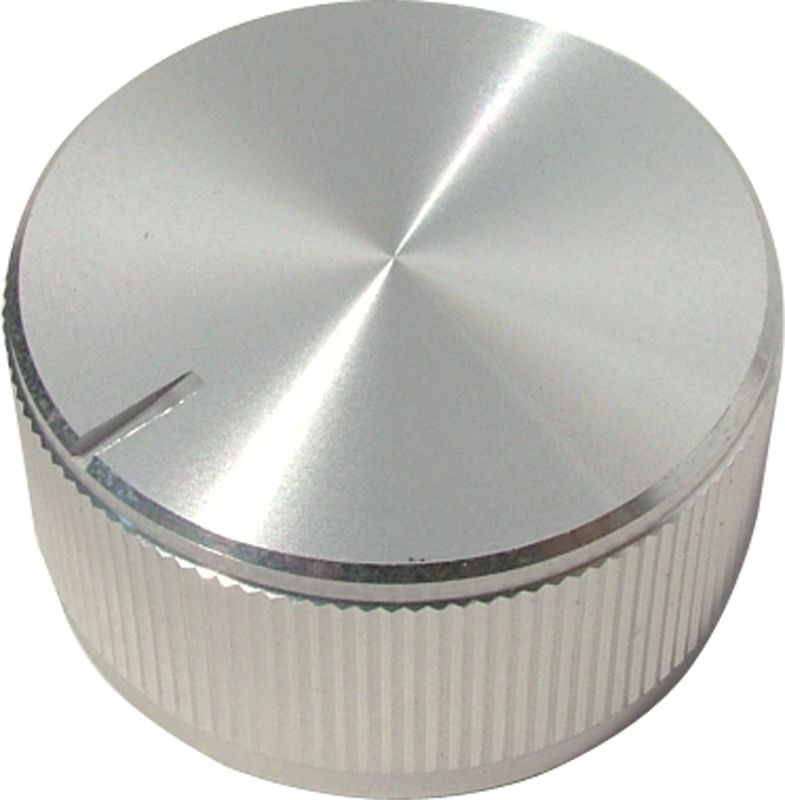 I used these knobs to replace the cheap plastic knobs on our stove vent hood (light and fan), perfect fit, perfect diameter, perfect shaft size. They look a little retro, but the functionality is way more important. Great price, delivered right away too. They look great, feel solid, tighten snugly, and have a nice tactile heft. I dig em. Asked by Anonymous on December 2nd, 2016. Hi, these knobs have a set screw and are not push on. Asked by Anonymous on September 13th, 2017. If you guitar has 1/4" solid shaft pots then these will work. Also this is a large knob as 1.25" in diameter.